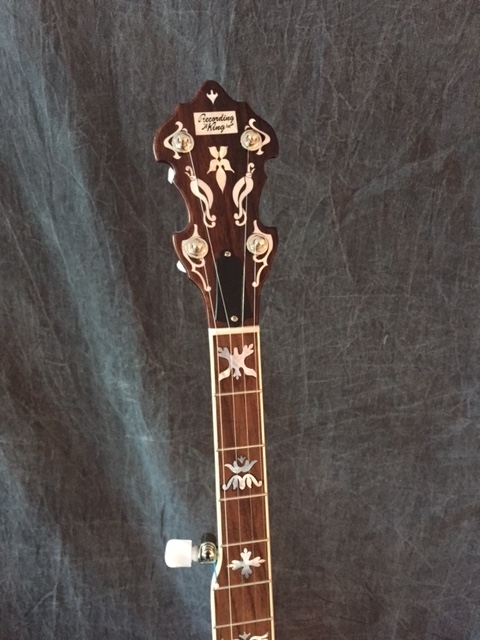 Modeled after the original Mastertone banjos of the 1930’s, the Recording King RK-Elite offers players vintage sound and handcrafted construction. Professional components like a classic Mastertone-style tone ring, true steam-bent 3-ply maple rim and nitrocellulose lacquer finish put this banjo in a category by itself. With classic design features like the vintage-style double-cut Recording King peghead and custom Flying Eagle-style peghead and fretboard inlay, this banjo proudly carries forward the tradition of one of history’s most revered instrument manufacturers.